40% on the cost of paint! 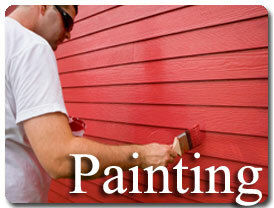 It's all about color, texture, coating and especially, a professional job. You deserve it and we provide it ! A newly painted room can make a huge difference in the look and feel of the room. Thanks to our network of professional painting contracrtors in the area who we know do the best job, we can provide you with the interior or exterior painting solutions either stand alone or as a part of a remodeling project. Professional house painting is becoming even more important for many homeowners because of the combination of aesthetic enhancement of interior colours as well as the curb appeal of an exterior paint. At V. A. and Sons Construction, we combine years of contracting painting projects as a Salem Oregon painting contractor, an excellent reputation, and top quality products to continue to meet or exceed our customer’s expectations for their painting projects.